After a flight from London that was so quick I hardly had time for a power nap, we arrived in Dublin, somewhere we have lived so close to our whole lives but were only just getting around to visiting. 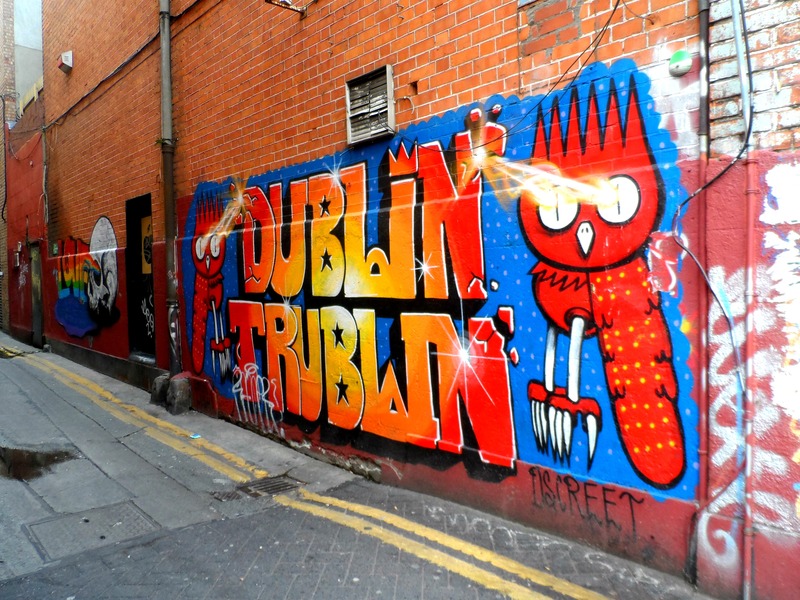 Knowing we only had 48 hours in this small but fascinating city we headed straight out to the main strip of Temple Bar to see what all the fuss was about. As it was late evening by the time we set out, crowds of people already lined the street, spilling out the doors of every pub and restaurant, drinking and chatting away, listening to the street music that was being played on each corner. For fear of being crushed in the stampede of whiskey induced tourists, we headed to Bad Bobs which was slightly less packed but still had a lively atmosphere. We just about managed to find a seat, ordered some drinks and a huge plate of spicy chicken wings, sang along to the entertaining live band and giggled at the drunken groups of friends (and a policeman who looked suspiciously like a stripper) enjoying the weekend. After a brief but fun first evening, we headed back to Temple Inn, our home for the next two nights right in the centre of it all, to get some sleep before the jam-packed day of sightseeing ahead. The first (and of course most important) part of the next day started with brunch at Whitefriar Grill. Sugary sweet hot chocolates and huge portions of poached egg, smoked salmon, potato rosti and ginormous wedges were laid in front of us and we stuffed ourselves silly while planning how to spend our first full day in the city. 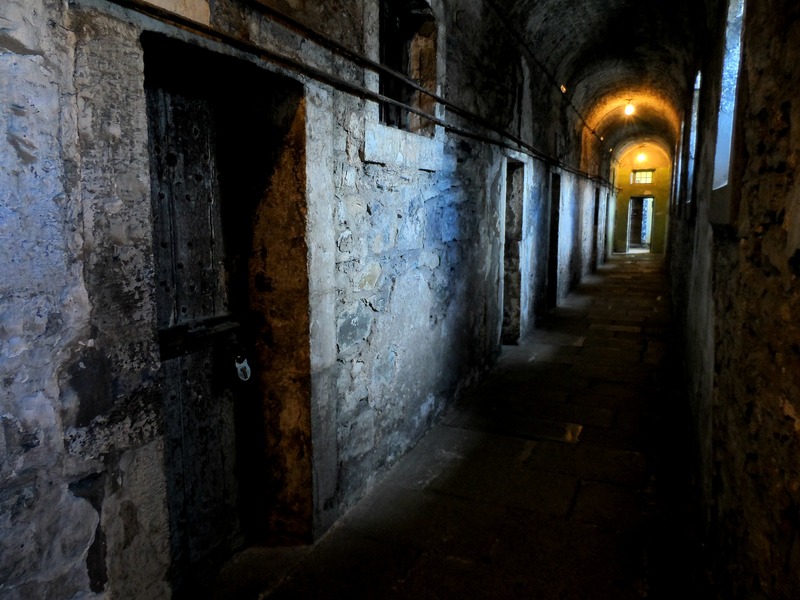 Kilmainham Gaol was our first stop where we wandered around the former prison learning about some of Ireland’s history from independence to the executions that took place here. Next we jumped on the hop on hop off bus which, along with some extremely entertaining commentary from some of the drivers, took us directly to Dublin Zoo. Being the huge animal lovers that we both are, of course we had to stop to see the big cats and the even bigger orangutans. If there was one thing my inner child really wanted to do in Dublin it was visiting the Leprechaun Museum. Mr Ayla took a little more persuading but he soon realised that being shrunk down to leprechaun size, climbing the giant furniture and walking through a colourful rainbow to find the pot of gold was just too hard to resist. Oh and of course we had to take a selfie with Seamus! Dublin had worn us out after a full on first day, but there was still plenty of time to spare for some evening shenanigans. With high heels and lipstick on (me, that is, not Alex) we made our way to The Old Storehouse, a pub on Temple Bar with live music from an Irish band and a mouth-watering traditional menu. 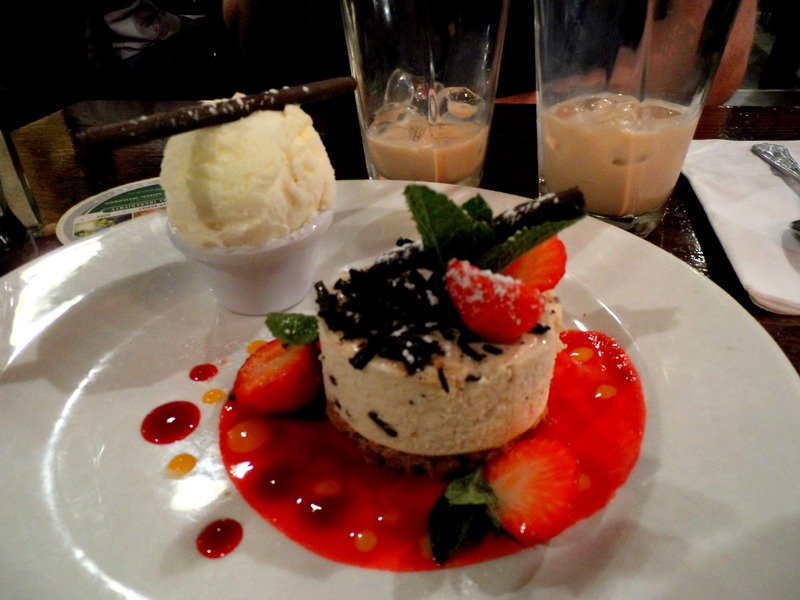 The best part of the evening by far was the dessert – a glass of Baileys with Baileys cheesecake – which was, quite literally, to die for. We couldn’t have picked anything more Irish or more delicious and I have never known us to have such a fight over the spoon. Why oh why did we decide to share?! Taking a break from the traditional noisy Irish pubs, some elegance and sophistication awaited us at the Vintage Cocktail Club. 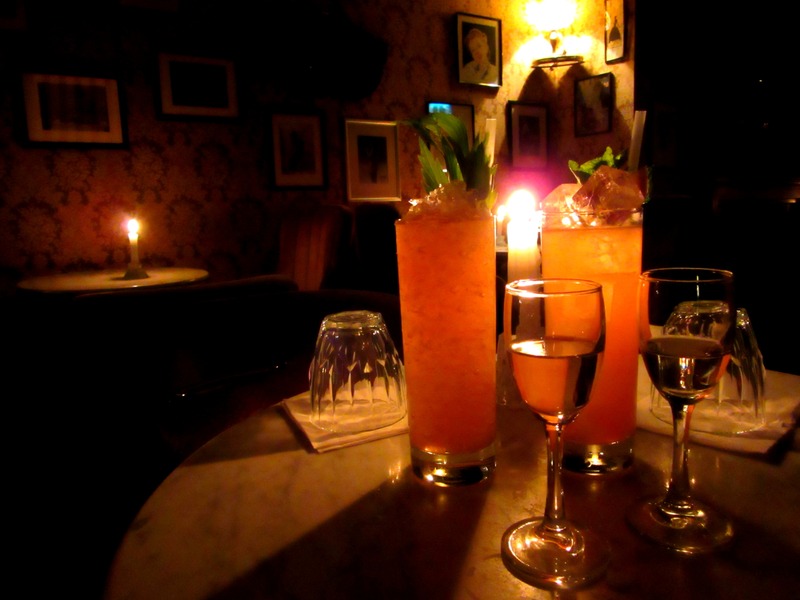 We rang the bell on the inconspicuous black door of the speakeasy where we were shown inside to a chic vintage room covered with patterned wallpaper and black and white photographs. Relaxing in the comfy armchairs, listening to slow music on the piano, sipping on our complimentary glasses of Prosecco, I could have easily hung out here all night working my way through the cocktail list that was so long they’d turned it into a book. 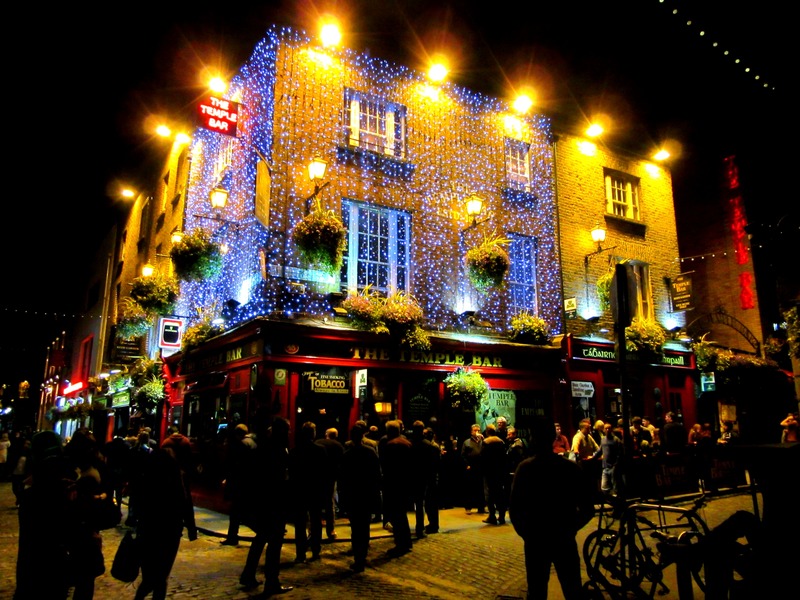 But, alas, we were in Dublin and more Irish pubs were waiting to be experienced. 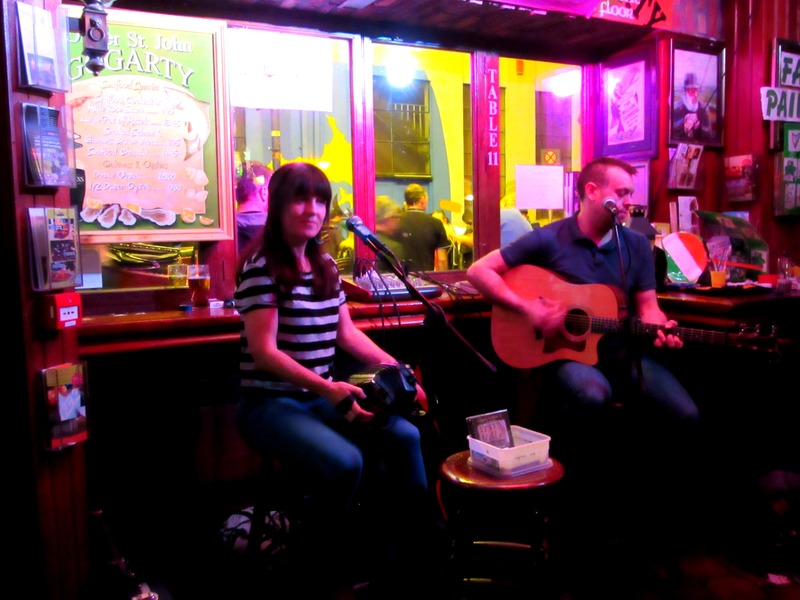 In the small but crowded Oliver St John Gogarty we sang along with the Irish band and laughed as everyone danced. In Temple Bar we squeezed and pushed our way past hundreds of people to the bar, had one drink and left because, despite everyone’s insistence that Temple Bar is THE pub to go to, it really wasn’t as fun as any of the others we stopped at. 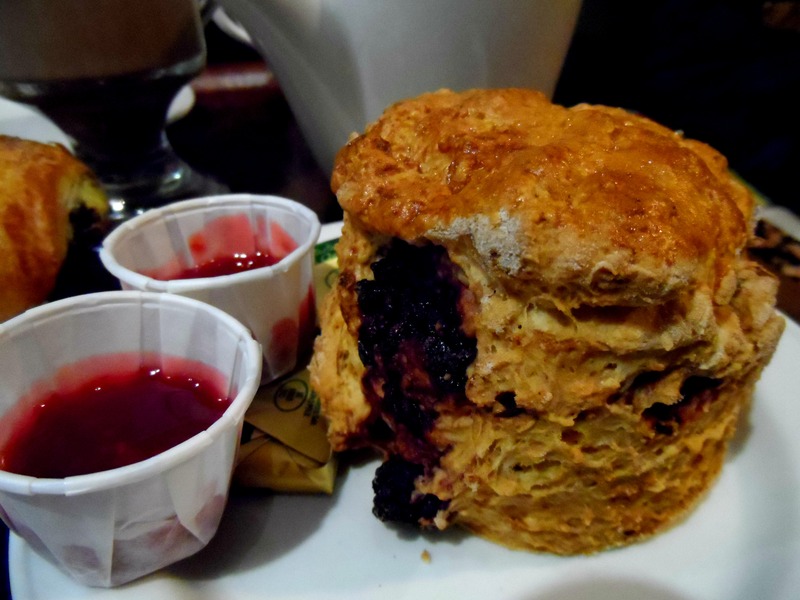 The next morning we indulged in a more leisurely (and sugary) breakfast at Keogh’s Cafe. 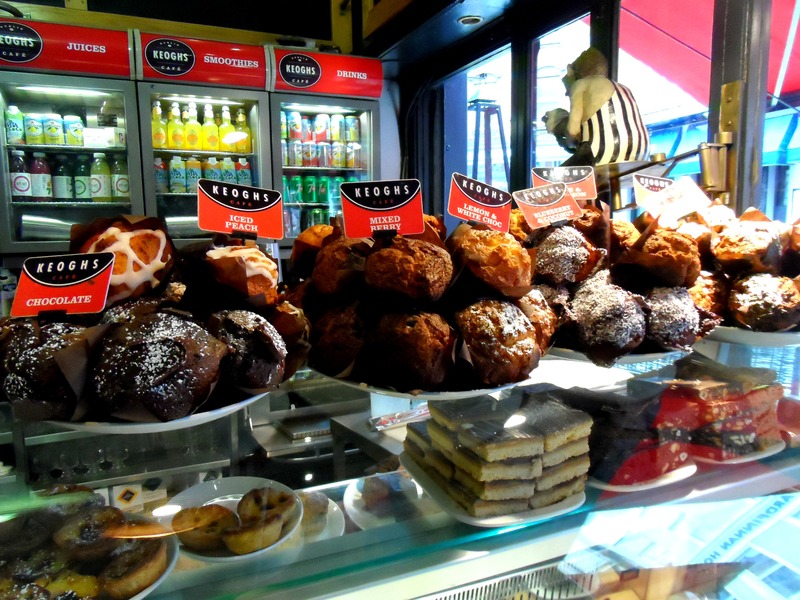 The counter lined with fresh scones and a huge array of muffin flavours is enough to tempt anyone and we may have gone back later in the day for an afternoon snack. Seeing as the previous day had been full of chatty locals, drunken tourists, hilarious folk bands and mythical leprechauns, we decided to stick with the bizarre theme and took a tour of a cemetery. 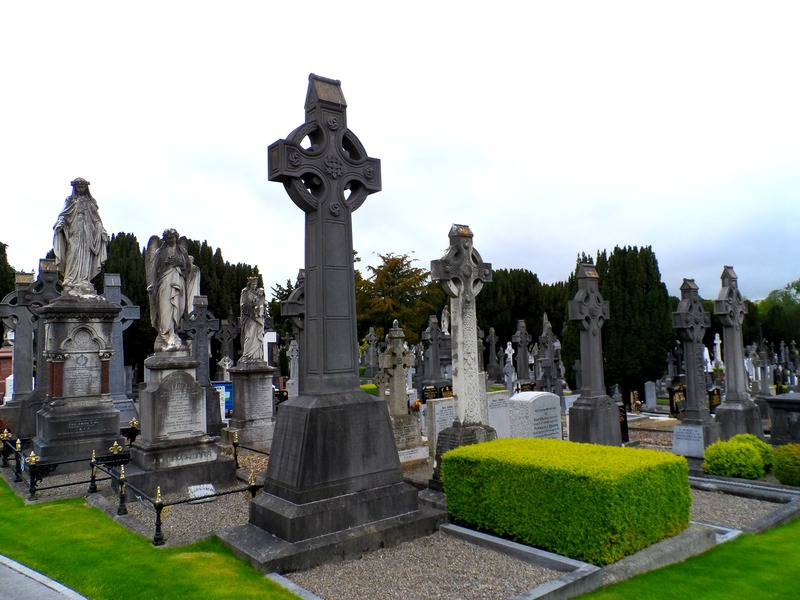 Glasnevin Cemetery is so big that more people are now buried here than there are actually living in Dublin! In fact it’s so big and the tour was so long that we had to sneak off early to visit the Guinness Storehouse. 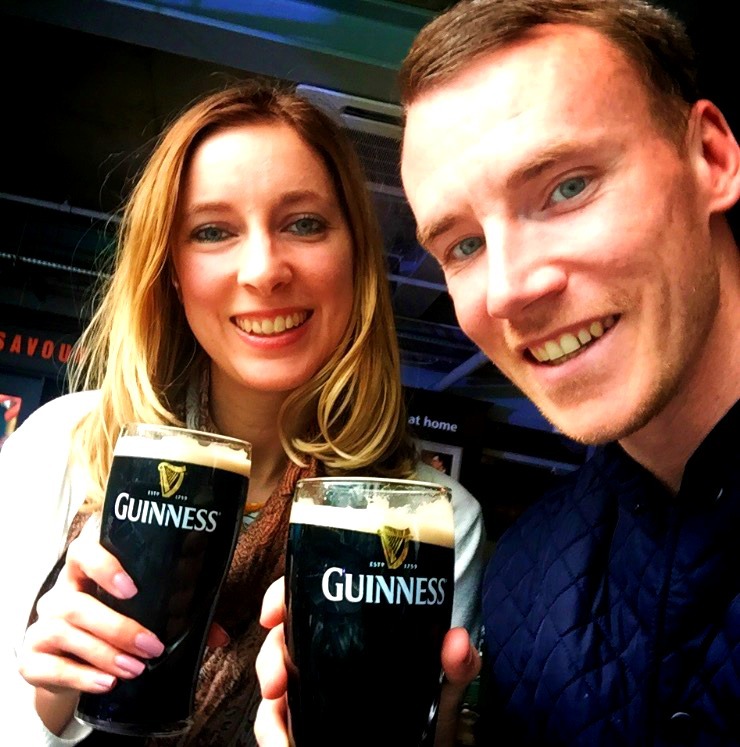 We simply couldn’t miss out on visiting the city’s top attraction and trying my first ever sip of such a huge part of the Irish culture. 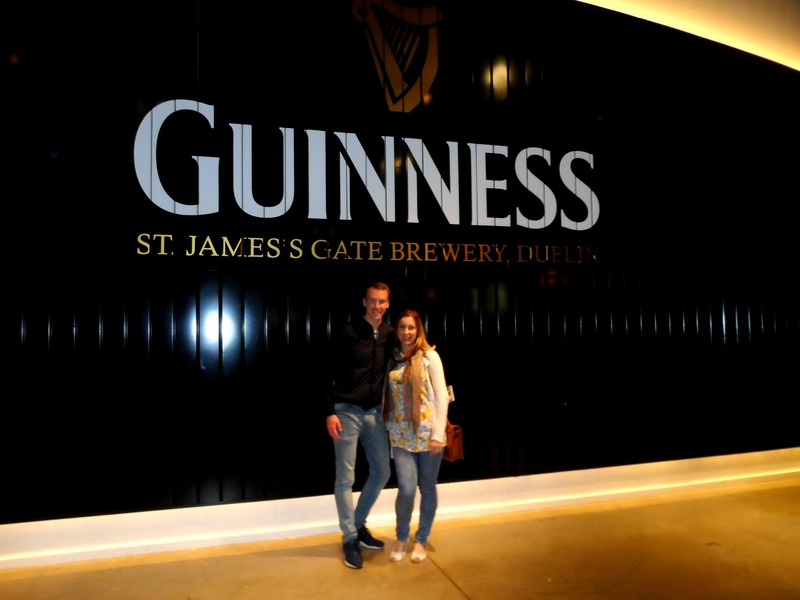 We could easily have spent a whole day here wandering around the seven floors of all things Guinness. You can read more about My First Taste of Guinness at the Guinness Storehouse here. I’m sure you already know that I always have to try the local cuisine when we travel and so we stopped at Gallagher’s Boxty House for a lunch of traditional Irish potato pancake wrapped around some delicious fillings. While slightly pricey for the amount of food you get, I have to admit that it was a super tasty lunch. 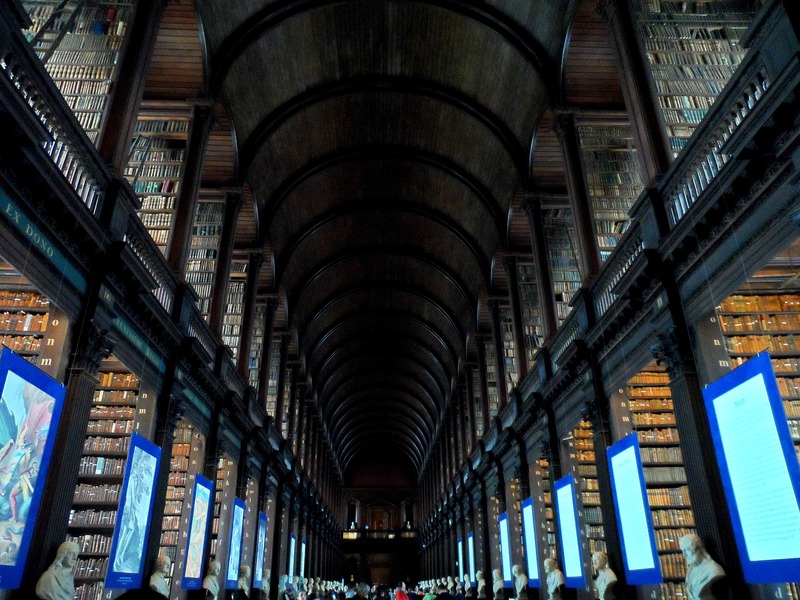 Our last main stop was Trinity College where we viewed the ancient Book of Kells and I found my haven in the Old Library. After we’d seen all the main sights that the city had to offer and made full use getting windblown on top of the hop on hop off bus, we took a stroll through pretty St Stephen’s Green and wandered around town coming across some colourful street art, a statue of Molly Malone and the pretty Ha’Penny Bridge before we had to leave for our flight home. 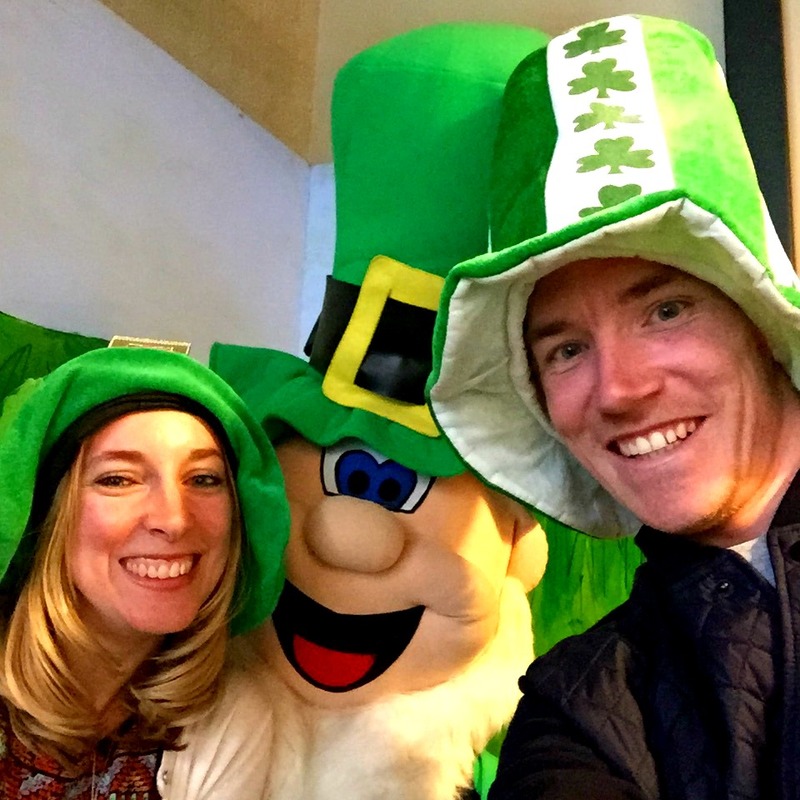 Despite only having a whirlwind 48 hours in Dublin, we had so much fun exploring a city rich in history and even richer in character and charm. A big thank you to Tourism Ireland who hosted our visit to Dublin. It may have taken me 28 years to finally visit but I definitely won’t be waiting another 28 to return! I was in Dublin a few weeks ago! Was the first time I’d ever been to Ireland. My favourite was actually taking the train out to Howth one of the seaside towns and climbing the cliff tops, it was stunning! Cool post and wonderful photos. It was also to see among then a cemetery photos. Thank you! The cemetery tour was an interesting and slightly out of the ordinary part of the trip! What an amazing weekend you had! I can imagine you came home with very sore feet after all that tourist-ing! 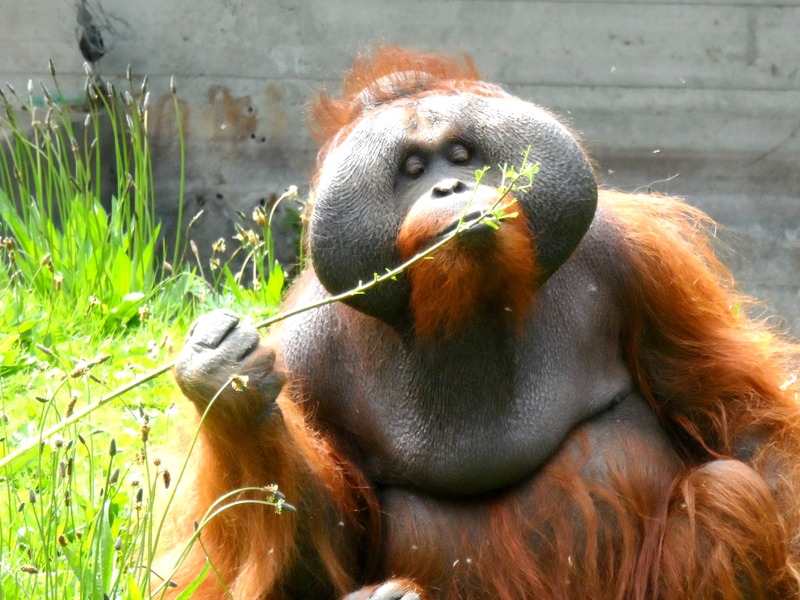 Looks like you had a super fun time in Dublin! That breakfast and oh my goodness Trinity College Library!!! That brunch was exquisite! I could eat it every single day if I could! There’s actually loads to do for such a small city. 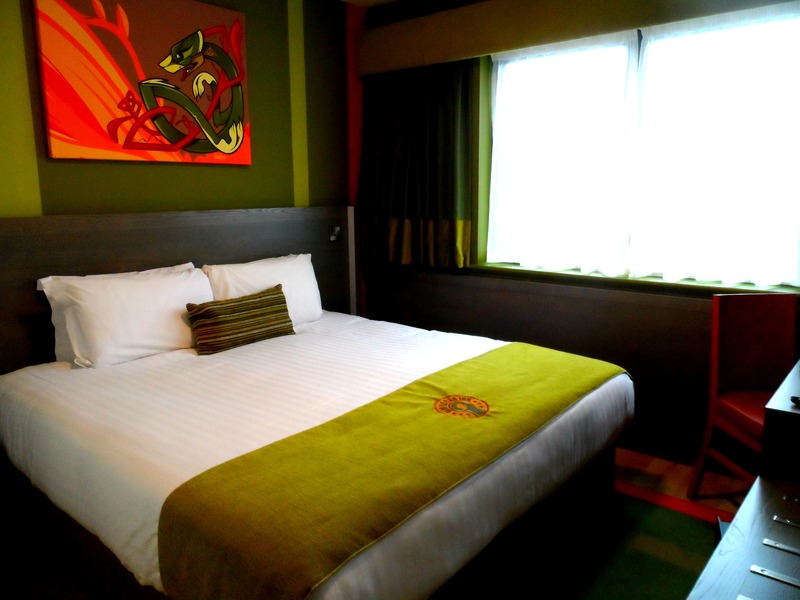 Go for a weekend – I guarantee you will have masses of fun! love the trinity college pic! 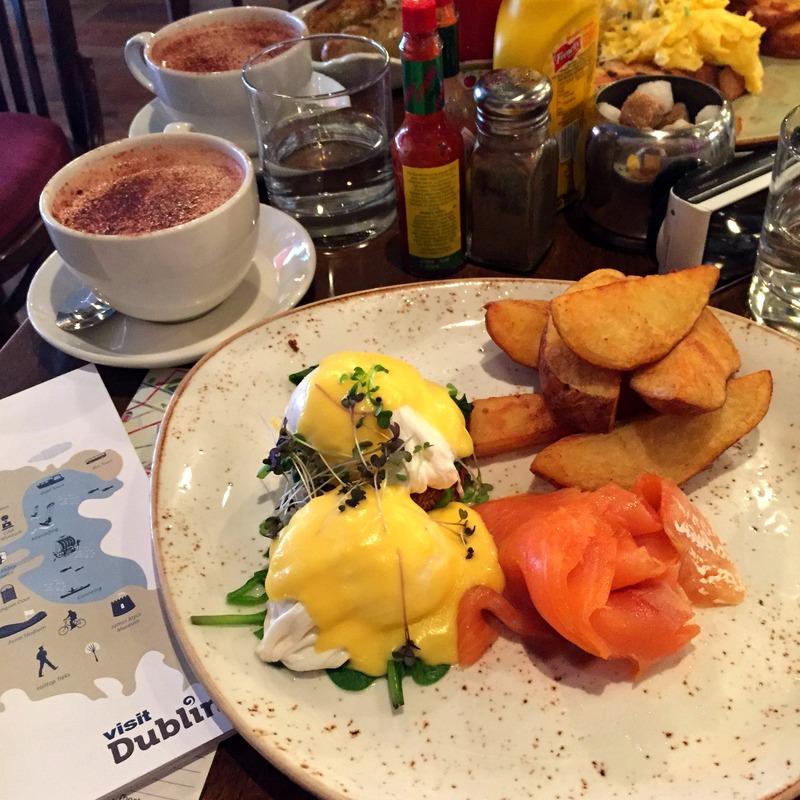 looks like you certainly indulged well in Dublin! We certainly did although I could have stayed in the library for so much longer! Wow, how did you fit that much into a weekend? Looks like you had a great time. 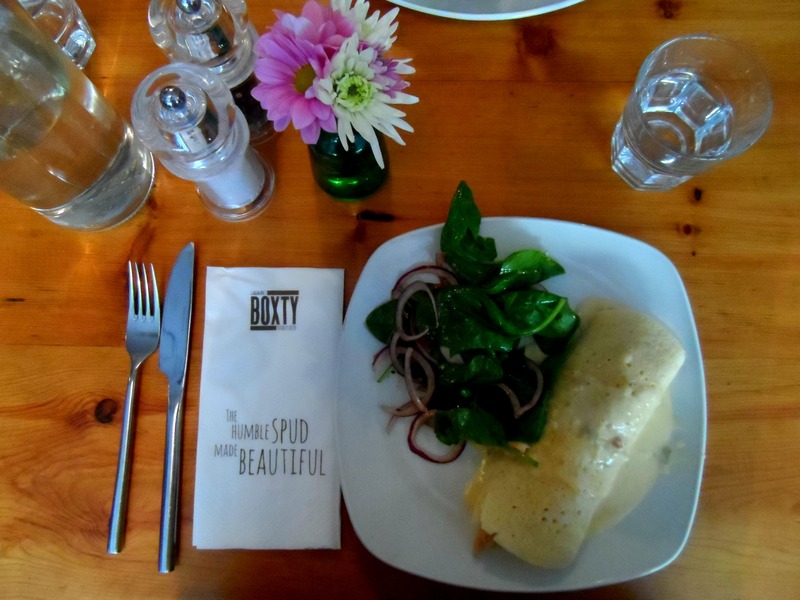 All of the food looks amazing and I can just imagine you two fighting over a spoon! The library looks brilliant, I could get lost for days in there! Clearly I am an expert in travel planning 😉 Oh the library was just heaven! It looks like you two had so much fun! Dublin has been on my travel radar for ages, but now I’m convinced that I have to go (if only to visit the Leprechaun Museum!). I took a few tips from your Dublin research but there is so much to do there. You would absolutely love the Leprechaun Museum Kasha! Wow! You guys packed so much into such a short space of time. The Vintage Cocktail Club looks exactly like my kinda place. I went somewhere similar in San Francisco and loved it. You guys did a lot in 48 hours, that’s pretty awesome. All the pub-hopping sounds like such fun, I wanna do it some day! And all the food… I am not even going to start… amazing!!! Yesss, you are right, I need to visit it someday!! I never knew there were so many cool things to do there!